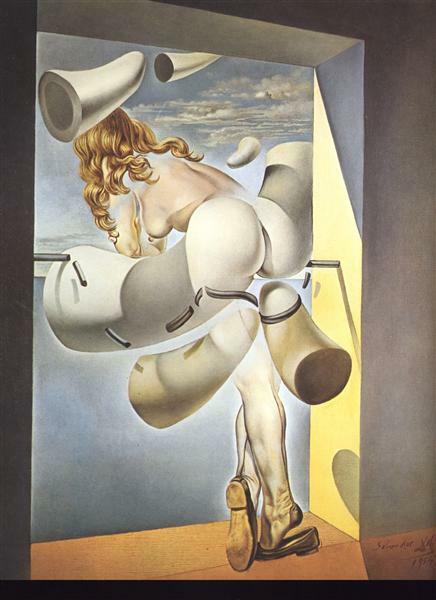 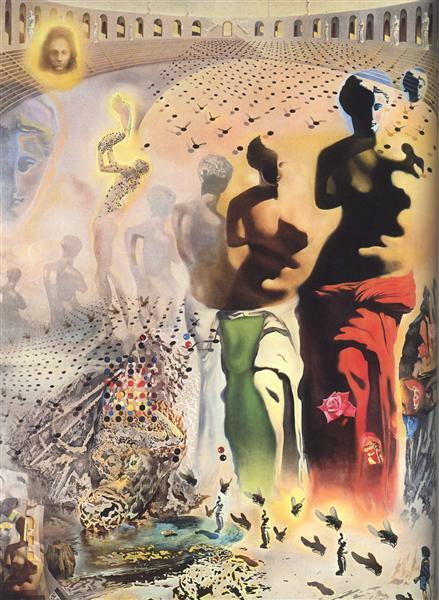 This painting is an example of Dali’s paranoiac-critical method, developed in the early 1930s. 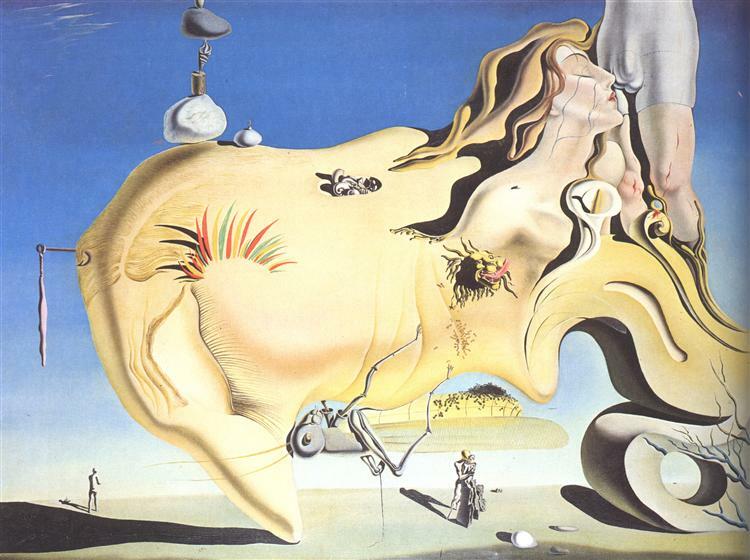 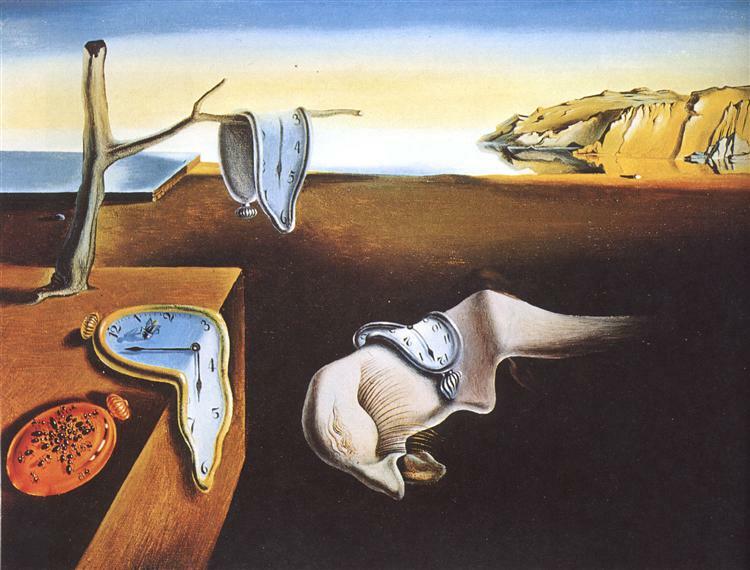 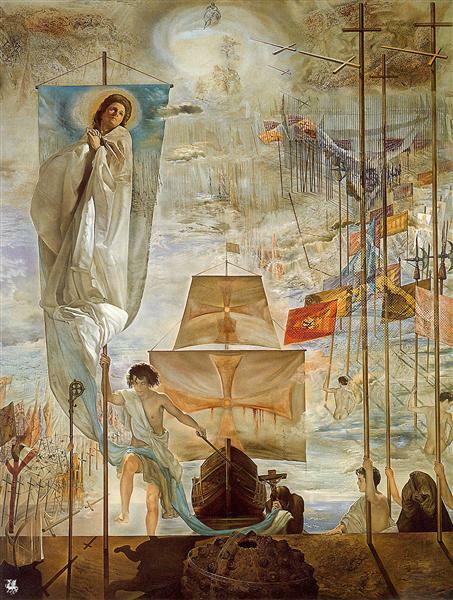 The aspect of paranoia that Dalí was interested in was the ability of the brain to perceive links between things which rationally are not linked. 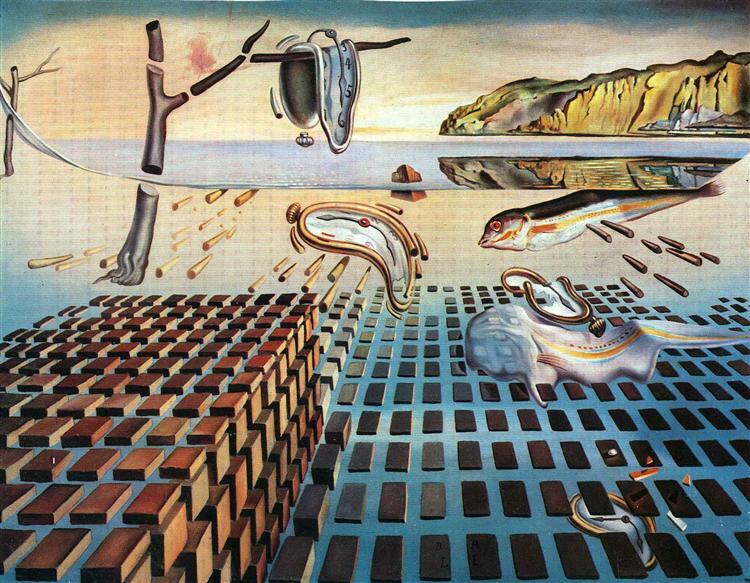 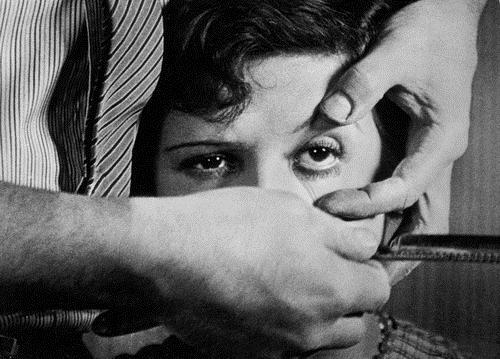 Dalí described the paranoiac-critical method as a "spontaneous method of irrational knowledge based on the critical and systematic objectivity of the associations and interpretations of delirious phenomena." 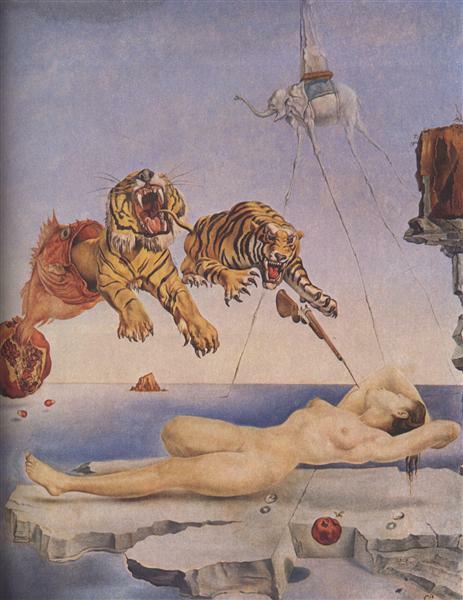 Employing the method when creating a work of art uses an active process of the mind to visualize images in the work and incorporate these into the final product. 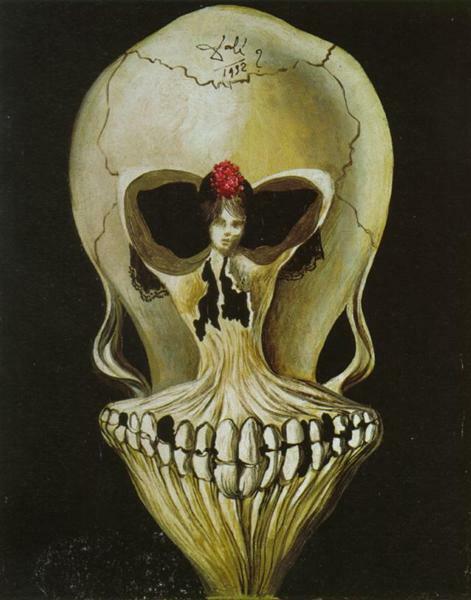 An example of the resulting work is a double image or multiple image in which an ambiguous image can be interpreted in different ways.